Avery is my friend. She is also very often my primary taste tester. Avery is a super-baker who likes to cook sometimes. Which leads me to this post. 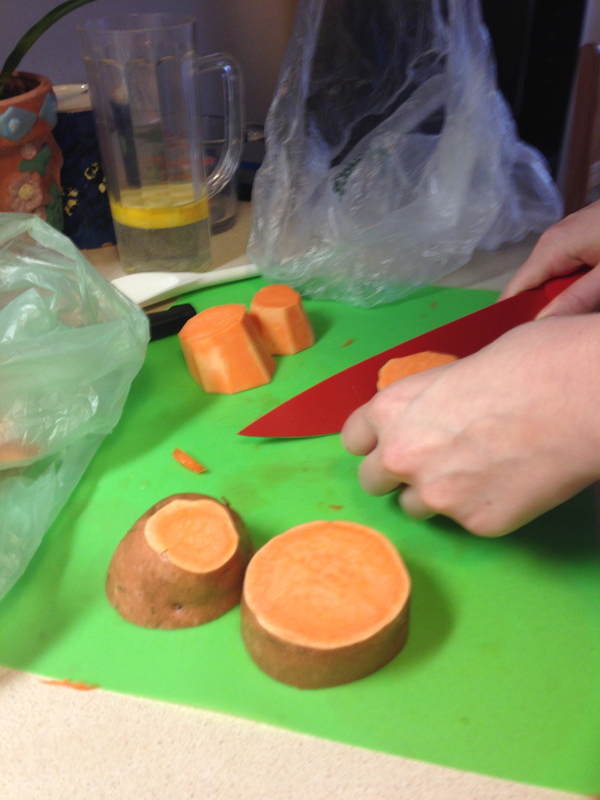 Sweet Potato Curry Soup is Avery’s recipe, and we made it together last night. Much deliberation went into naming this dish, since the soup has sweet potato, carrots, chickpeas and curry, which are all important ingredients. It was hard to pick just two for the name. Sweet potato and curry are the flavors that burst out most, so we decided to use them. Sweet Potato Curry Soup uses only a few ingredients. They are a sweet potato, carrots, chickpeas, curry, chicken stock, salt and pepper. You will also need a submersion blender. I didn’t know I had one of those, but Avery found one in the back of the cupboard! That’s what friends are for. Providing blog content and stumbling on kitchen appliances. That was a joke; I appreciate Avery for much more than just her kitchen presence! I love cooking with friends and for friends. Food just really brings people together. Some of my best recipes come out of collaborating with other cooks! For all you carnivores, know that even though there is no meat in this dish, it’s a hearty soup. It will fill you up, but it usually won’t make you too full. 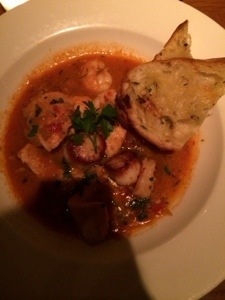 Another plus: the soup is gluten free. 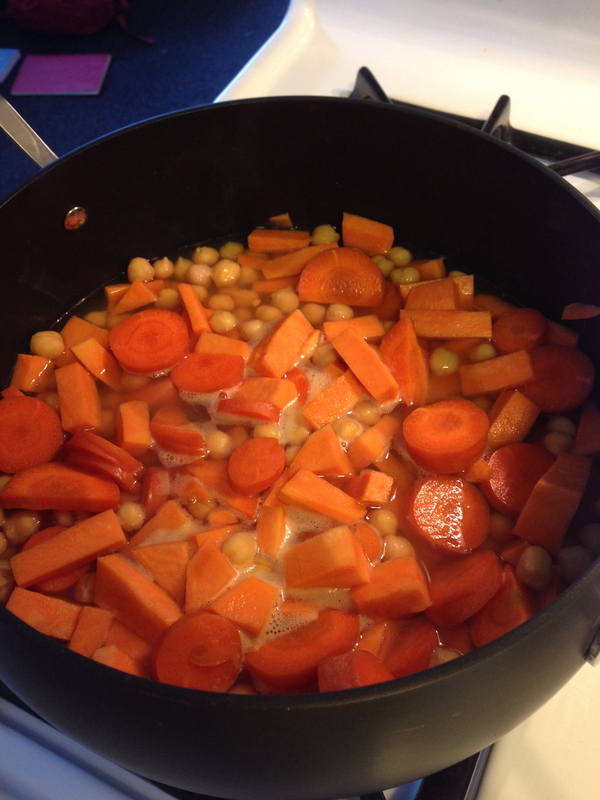 Combine sweet potato, carrots, chickpeas and stock in a medium pot. Cook vegetables until tender. Transfer vegetables and liquid to submersion blender and blend until smooth. Return mixture to pot. Add curry powder, salt and pepper and simmer for 5 minutes, stirring occasionally. Adjust seasoning to taste. I got back from Spain, and I love mussels. This is interesting, considering I only ate mussels once in Spain. I can’t explain it, but they are my new go-to. I also got my family and four friends hooked on them. All this to say, you should try cooking mussels. Or you could order them in a restaurant. Mussels are pretty easy. First, sauté some onion and red pepper in olive oil and butter. Then, add canned tomatoes, white wine, pimentón, saffron and parsley. Stir that together and throw in the mussels. Cook mussels for about six minutes. They’re really tasty served with toast. My secret (or not so secret) reason for loving this recipe is I get to use my pimentón and my saffron from Spain. 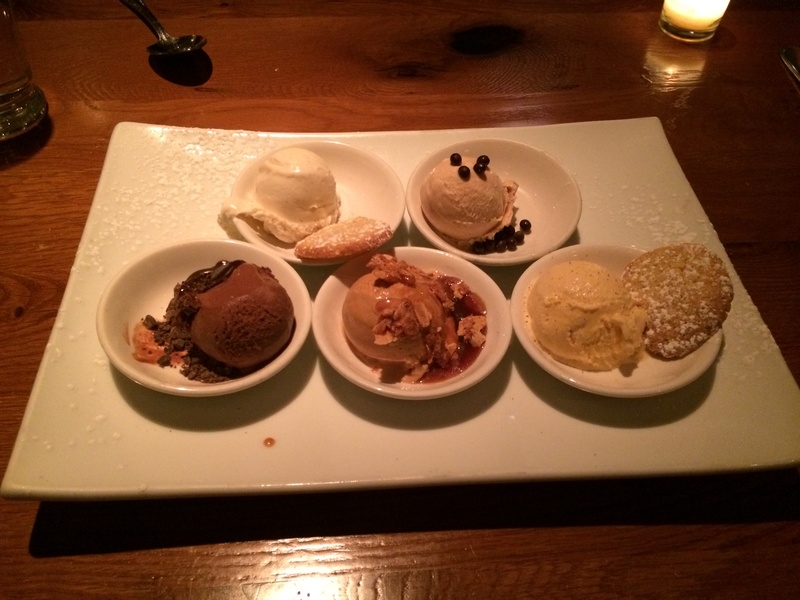 Oh the flavors! There are many ways to clean the mussels. An easy technique is to soak them in water for 10 minutes. Then, scoop the mussels out of the water, rinse and remove beard from the mussels. However, if you know a better method, definitely use that. 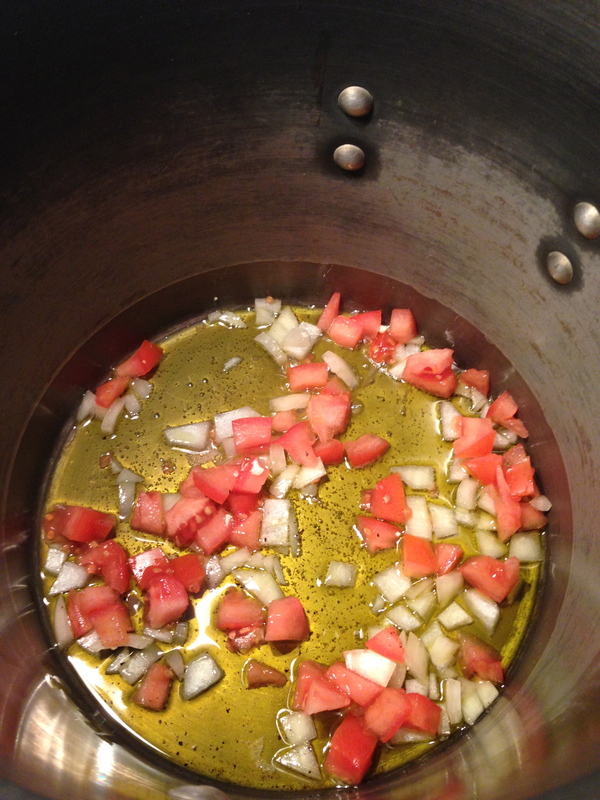 In medium pot, sauté garlic, onion and red pepper in olive oil and butter, until onion begins to caramelize. Add tomatoes, white wine, pimentón and saffron. 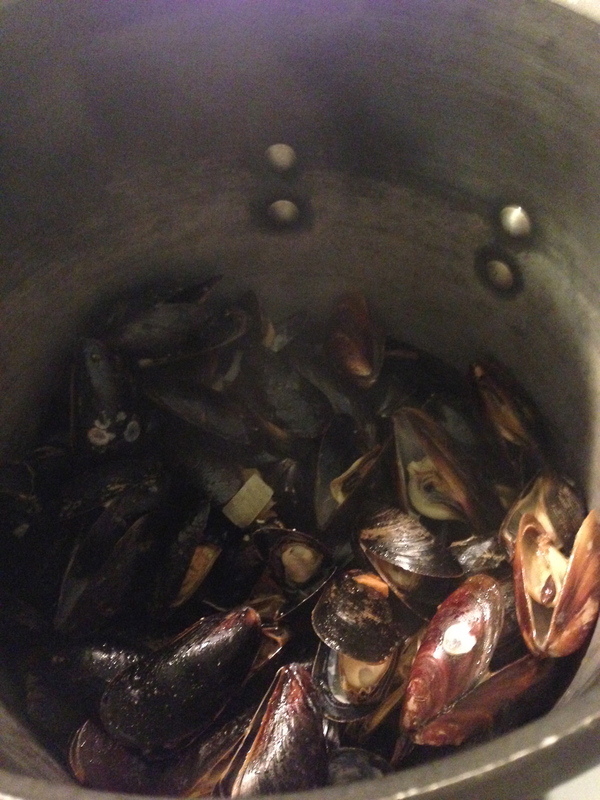 Boil liquid, then add mussels. Cook mussels about 6 minutes, until they open. Stir around a bit to make sure all mussels are soaked in the sauce. Season with salt and pepper. Like chick-flick night, sometimes I need a soup night. When subfreezing temperatures confine us to the indoors, we throw together a steaming bowl of soup. It was negative two degrees here the first day I made this. “I hate this place” has been my signature response to the weather. Therefore, I hate this place. Chicken Sausage Barley Soup needs mild Italian style chicken sausage, barley, vegetable broth, diced canned tomatoes, onion, garlic, fresh parsley, bay leaves, olive oil and salt and pepper. After only 1 hour 45 minutes, enjoy a bowl of comfort. Too much? It comforted me from the cold, at least! In the soup pot, cook sausage, onions and garlic in olive oil on medium high until sausage starts to crumble. Add vegetable broth, barley, tomatoes, parsley and bay leaves. Crack in a bit of pepper. Add other vegetables, if you like. Let the soup simmer for 1 hour 30 minutes. Before serving, separate sausage into smaller bites. Serve immediately, or remove from heat and reheat before serving.